Wed., July 11, 2018, 9:30 a.m.
WASHINGTON – Supreme Court nominee Brett Kavanaugh returned to Capitol Hill Wednesday for a whirlwind round of meetings with key Republican senators as Democrats ramped up efforts to block his confirmation. 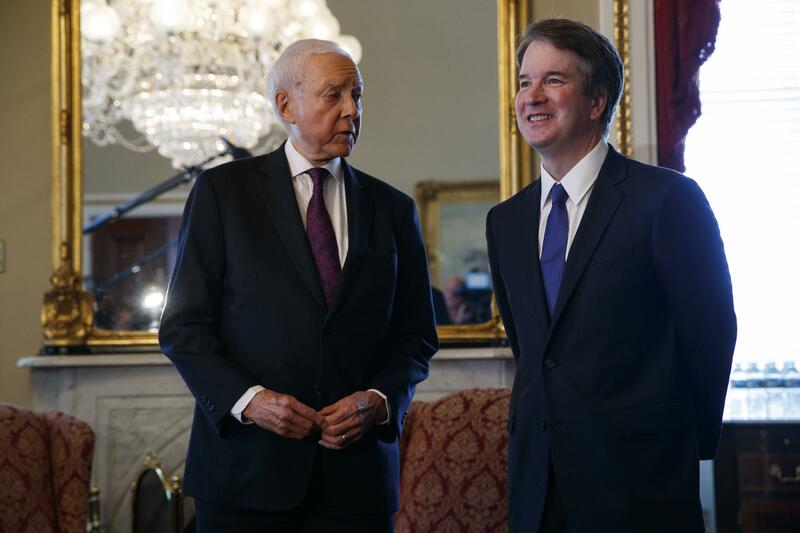 Kavanaugh, the conservative appellate court judge President Donald Trump chose to replace retiring Justice Anthony Kennedy, met separately with Republican Sen. Orrin Hatch of Utah, who called the judge “a very fine man,” and was to confer with Sen. Lindsey Graham of South Carolina and other senators. At Hatch’s office in the Capitol, the senator told reporters he expects Kavanaugh’s confirmation to go well. Democrats are also raising red flags over Kavanaugh’s writings that suggest investigations of sitting presidents are a distraction to executive branch leadership. They see that as concerning amid the ongoing special counsel probe of Russian interference in the 2016 election. Published: July 11, 2018, 9:30 a.m.